When the day finally arrives, hanging up the boots for good is a massive (and usually depressing) decision for any big-game player. 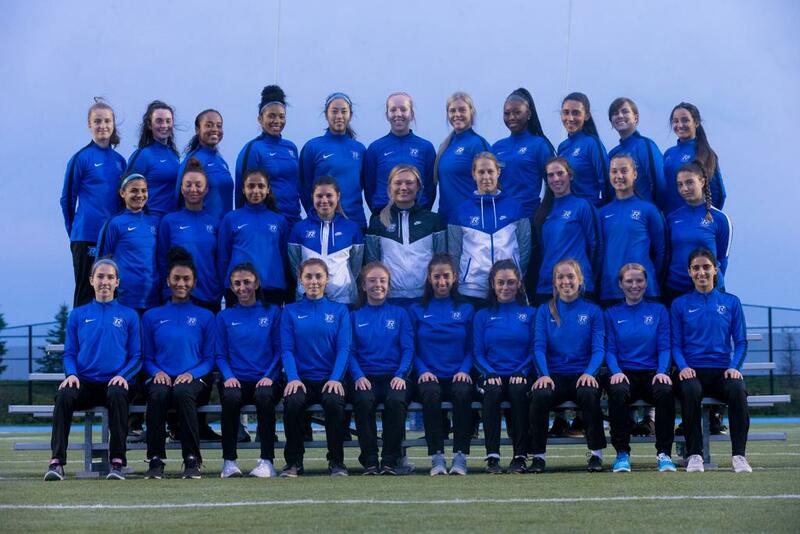 Yet life in the game can continue with all the same peaks and valleys if a jump is made to the technical area, and now three former League1 Ontario female stars will make that leap in 2019 after some top-level coaching appointments. 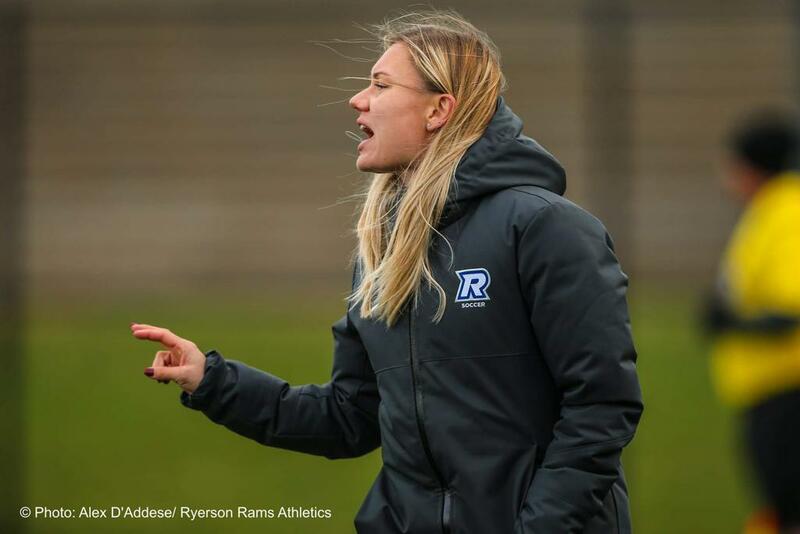 Natalie Bukovec - erstwhile member of L1O sides Oakville Blue Devils, Woodbridge Strikers, Toronto Blizzard and North Mississauga Panthers - will lead the Ryerson Rams as Head Coach after a year as interim manager for the Rams. Bukovec is joined by former 2015 League1 MVP and Goalkeeper of the Year, Durham United FA's (DUFA) Nora Abolins, who officially joins Ryerson University as a Goalkeeper Coach. 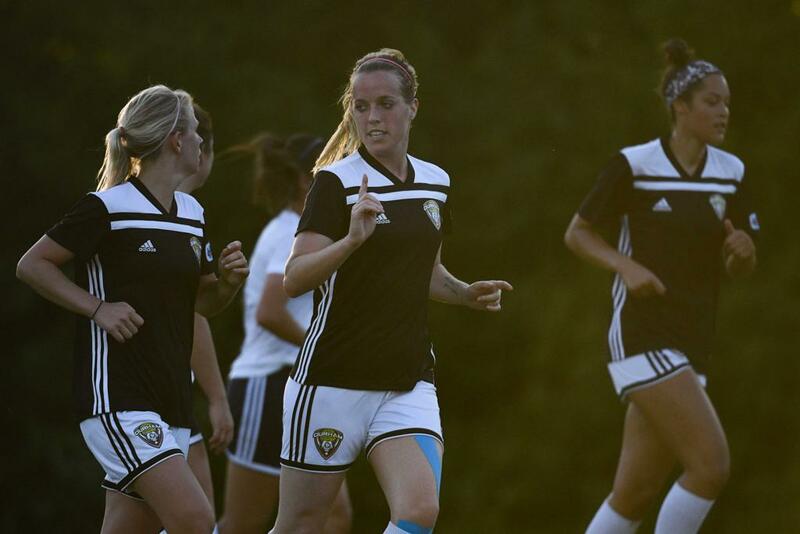 And another alumni of Pickering Soccer Club's two-time League1 winning DUFA side, Laura Gosse, will keep her boots half-laced after being appointed Player Coach of Alliance United's women's team for their debut season. At 25 years-of-age, Gosse becomes the youngest League1 Ontario Head Coach in league history. "Hopefully seeing myself and our other women's coaches on the field and very involved, we hope some of these players follow that path and we get more female coaches in the program," said Gosse. "I think it's more than just the soccer itself and the results of the team, but the production of female coaches that is a core priority. We have seen the number of female coaches in Canada grow over the years and I think with Alliance doing this project it will help our province in some part grow this number even more." Trivia hounds might register that Bukovec and Abolins initially met as determined opponents at the very first League1 Ontario women's match in 2015 at Tim Horton's Field, Hamilton. 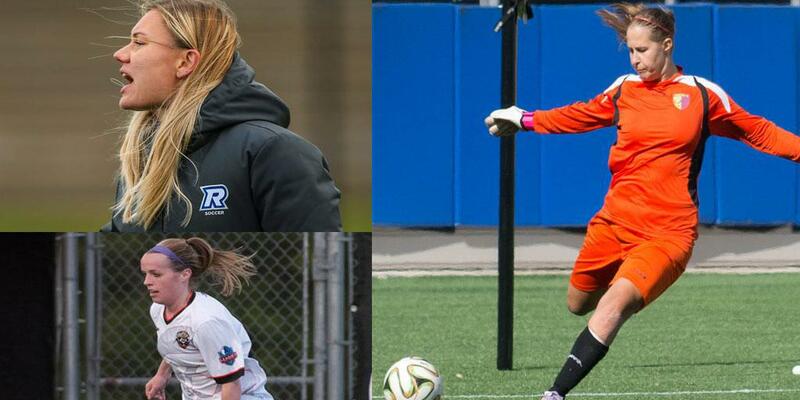 This year they'll lead the Rams as the only all-female soccer team staff in the Ontario University Association (OUA). "Yes, Nora and I met when we played against each other in the very first League1 game on the women's side," recalled Bukovec. "And we've been able to have some fun discussion about that day!" "But our official introduction was more through Ron Clarke at FC Oshawa, who I ran into at a showcase where I was recruiting players." 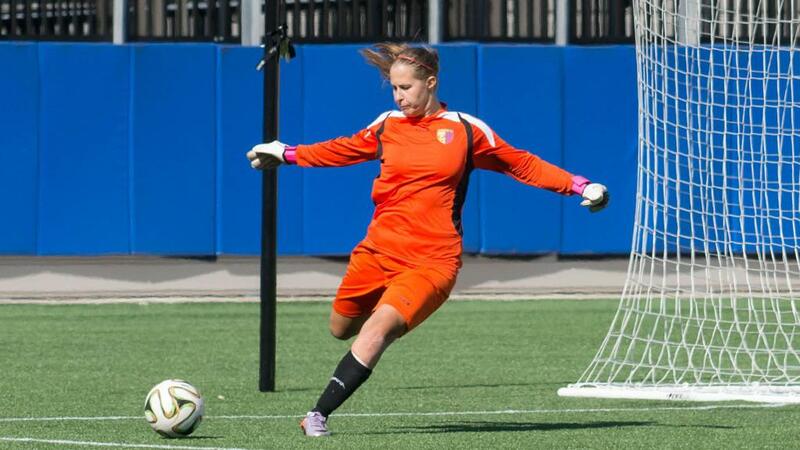 "I thought she was a perfect role model in a sense for the goalkeepers that we have. The female game on the women's side is very different than the male game, and it was very important to me to have a female goalkeeper coach on staff. And yeah, last year we officially had the only female staff in the league, with myself, Nora and Beth McCharles, who is our sports performance coach through Ryerson." Having female coaches lead women's teams seems like a no-brainer, but it is still a situation in the minority across the top jobs in the industry. "It's important because first of all the players can relate much better to that direction and leadership, as well as [Gosse] being such a solid role model in the soccer community, both as a coach and as a player," said Alliance General Manager, Kent Greene. "In our case, the players will look up to her and trust one hundred per cent in her judgement and decision-making process. We think they will get behind Laura fully and we recognize the value of setting that tone in our first year especially." Bukovec and Abolins will also bring a strong pairing of professional and international experience in the women's game to their coaching partnership at Ryerson. Bukovec had looks into the Croatian National Team program since she was 16 years old, while Abolins left League1 to play pro with QBIK in Sweden in 2016. "I personally have never had a female coach," explained Abolins. "From youth all the way through professional I was never formally instructed by a female." "Although the ideas and tactics of soccer are gender neutral, the application and execution is different," she added. "Having female coaches who played at a high level, and understand how the female body and mind works is a huge asset." "For instance, when I work with goalkeepers, the female body is anatomically different from the male, centre of gravity is located in a different place on both, therefore those players must adjust their technique accordingly." "To perform at the elite level these the adjustments and details are what make the difference." Bukovec's high level experiences in the game have also shaped her opinions and views. She is now is looking to break the mould of player development in a way that is specifically tailored to the women's game. "Our players are coming in at 18 years-old and my job, in addition to giving them a great experience in soccer, is to teach them life lessons: making sure they are confident when they graduate from their four year programs; are they going on to Masters programs; are they able to achieve what it is that they are seeking," she explained. "These are the aspects for me that I really enjoy about the USport environment, because it is really a lot more than just the on-field coaching." "I think, on the female side, it is very important to realize that we are not making the billions of dollars like is available on the men's side. "Education for me is the number one thing that I push."